Want to promote your text giving program on social media? Try using an eye-catching image with a text overlay—here’s how! We love (LOVE!) 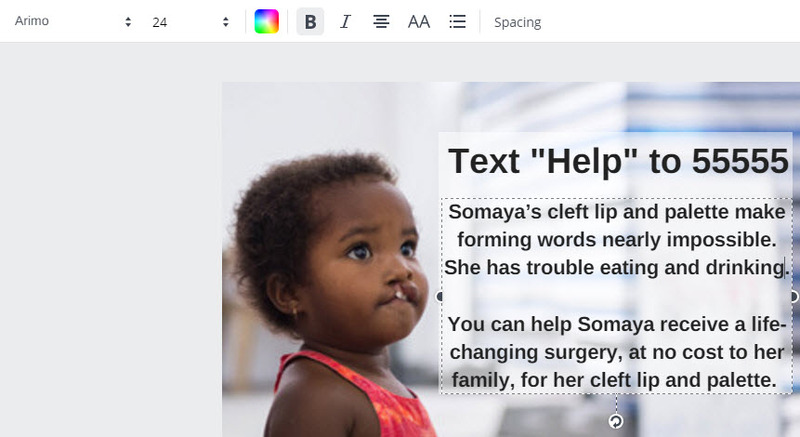 using Canva to quickly create images for social media. You can set up a free account at www.canva.com. There’s a ton of free content already available to you, you can upload your own images, or you can choose to pay a small fee for premium content. Once you’re logged in to your account, click the Create a design button in the toolbar. 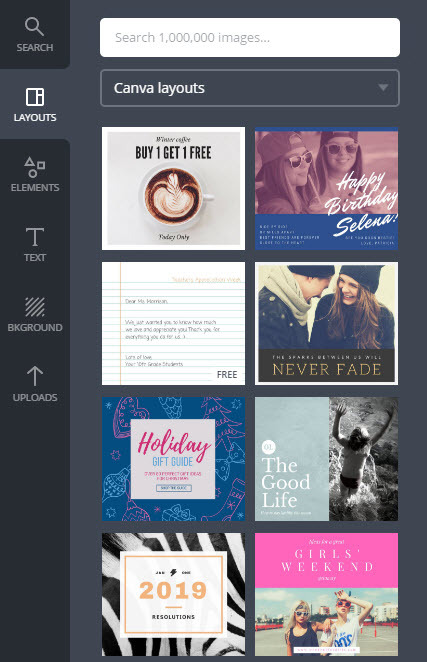 Canva has all of their templates organized into categories. In the Social Media Posts section, select the template for the platform you’re using. We’ll use a Facebook Post for this example. In the toolbar, you can choose from a variety of layouts, which are all editable. 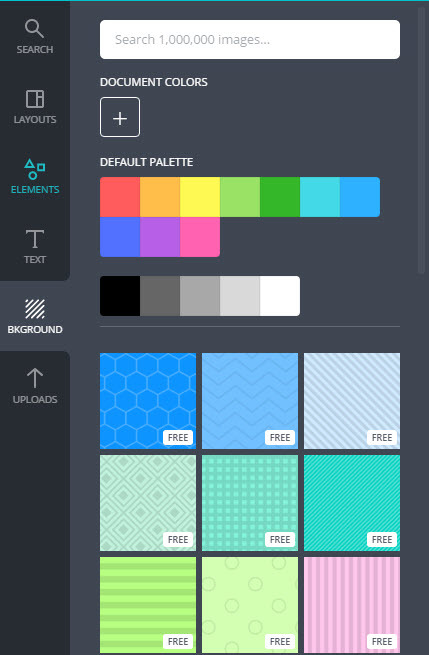 If you just want a solid-colored or patterned background, you can click Backgrounds and choose a color or enter a color code. The Document Colors tool will bring up a color picker with a code entry area. To upload your own image as a background, or to place it on a selected background, click the Uploads option. Click Upload your own images and locate a file on your computer you’d like to upload. Once you’ve uploaded an image, click it in the toolbar to place it. You can move and resize it as needed. Click the Text option to add text to your image. You can choose a few styles—heading, subheading, or body. Once you’ve placed your text box, you can change the font, as well as its color, size, and alignment. 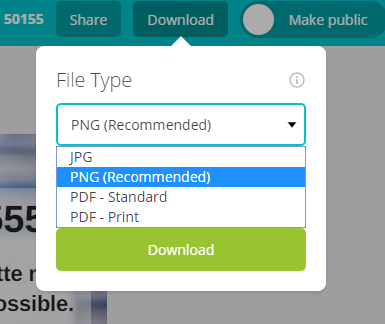 Once you’re happy with how your image looks, you can click the Download option in the upper-right corner and choose your file format. Your image will download to your computer and you can use it on social media! Pretty easy, huh?